Grand Rapids businesses are taking a new look at the potential of the many surviving modern commercial buildings found throughout Grand Rapids. 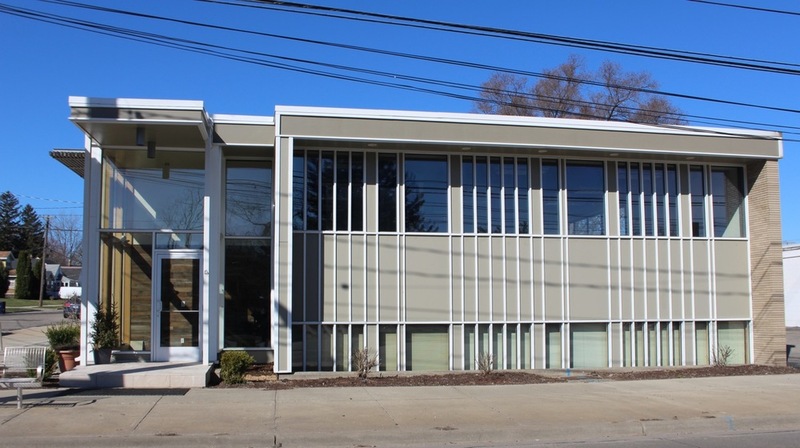 So when Local First needed new offices, they decided to move to a beautifully renovated 1958 commercial building located at 345 Fuller NE, just south of Michigan Street. Local First is dedicated to the promotion, growth and support of locally owned and operated venues in West Michigan, including everything from business to farm to non-profit entities. Now that Local First has moved its offices to 345 Fuller NE, another fine steward has been added to the history of a building that has had a lifetime of interesting owners and uses. Here’s to many more years of innovation, leadership, and community (and perhaps even more style) for 345 Fuller NE, an extraordinary example of cool mid-century modern design in Grand Rapids. Read on to learn more about the history of this building. 345 Fuller N.E. is a rare intact two-story mid-century modern office building. 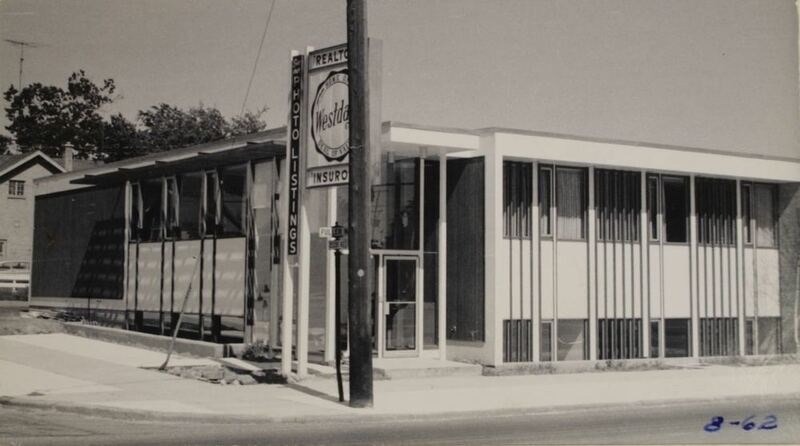 It was built by Leonard L. Westdale to showcase the Westdale Company, a real estate brokerage firm he founded in 1958. Leonard L. Westdale, born in Chicago and an alumnus of University of Michigan, worked in Grand Rapids first for the Kelvinator Corporation and then as a real estate agent. He saw great promise in real estate with the building boom and growing need for nice housing for families. Westdale learned the ropes working for the Albert Realty firm that handled all aspects of their clients needs — from finding to financing a house. He followed the 1958 launch of his own real estate firm with another bold move — building a modern office building at 345 Fuller N.E. The totally modern building was designed with a flat roof of tar and gravel on a steel roof deck with steel bar joists. With 2112 square feet on each of the first and ground level floors (actually below grade), the building has a monumental look in comparison to the row of low, single story commercial buildings adjacent to it. What gives this building style is the finely articulated exterior facade, with closely spaced vertical trim pieces. The building has a steel frame, brick veneer on the north exterior, and was built with a mix of large windows and panels on the front and south facades. Concrete block forms the exterior facade at the rear. 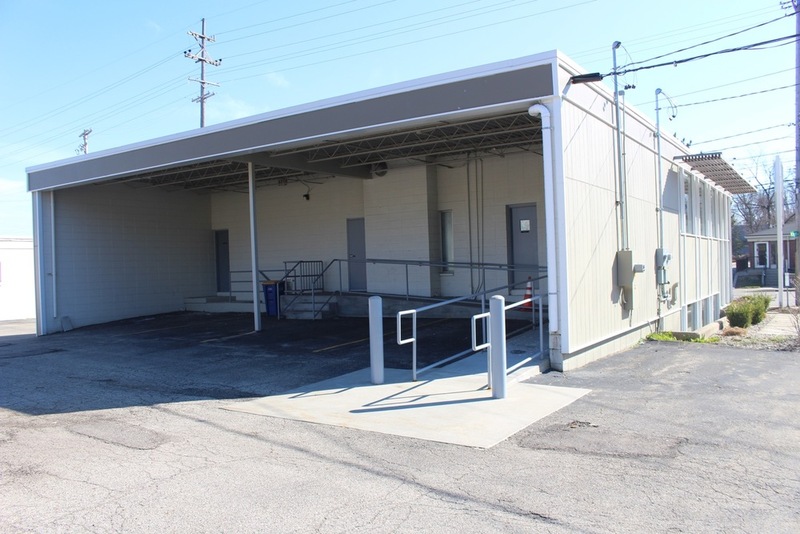 Other highlights include the on-grade concrete flooring on the first level that is fully carpeted and a 906 square foot carport that serves as covered parking, and a loading dock and delivery area. Innovative things happened at 345 Fuller N.E. On August 25, 1968, The Grand Rapids Press announced in an article titled "House Hunting by Computer" that the Westdale Company had bought a large IBM computer and was launching the first computerized system for matching real estate sellers and buyers. It was an impactful modernization for the local real estate market, and of course the rest is history. It's hard to imagine a time when you couldn't go online to shop for a new home or commercial building. In 1970, the Westdale Company moved their main offices to Lake Eastbrook Drive but kept 345 Fuller as an important hub. In 1982 the Grand Rapids Real Estate Institute was located there, serving a recognized growing need to raise the level of professional education for real estate agents nationwide. 345 Fuller NE as Kent County Republican Headquarters. 1987 Photo Courtesy of the City of Grand Rapids Community Archives and Research Center. In 1985, the Kent County Republic Party bought 345 Fuller N.E. from the Westdale Company. The building became the headquarters for the Kent County Republican Party. The local Republican Party had been renting a space from Butterworth Hospital, but lost their lease. They had never before owned their own building because the most common practice for political parties around the country was to rent space in store fronts. However, in an article in the Grand Rapids Press July 1, 1985, the 26 year-old Kent County Republican Party Chairwoman, Betsy DeVos, announced that after looking at other spaces to rent they had decided that it would cost about the same ultimately to own their own building. She added in her words, that, "In buying the building they would be building up equity." In the 1980s, the local Republican Party filled just about all of the elected positions in Kent County. They made a real investment in the community by owning and improving their own building and carrying on the Grand Rapids tradition of property ownership. One thing they found useful was the centralized location near downtown with good parking to accommodate the three staff that worked there on a regular basis and the volunteers that were used to staff projects, especially during election times. For example, phone banks were run out of the office on Fuller. The Kent County Republicans held their open house at 345 Fuller N.E. in September 1985, and owned the building until 1996. From that point the property was transferred several times and became home to a variety of businesses. Sometime during that history there was a time of crisis for the structure when it experienced tremendous water damage from standing water and sanitary sewer backups caused by heavy rains. Termite damage and rotting wood became a problem as well. The lower level had to be gutted and renovated as a result. In 2012, the building served as President Obama's election headquarters. today the building has been renovated and is a grand rapids jewel in the modern commercial building stock. In 2013, the building became part of Green Cane Property LLC, and after a major restoration is a standout on the streetscape. The building’s exterior was painted a soft taupe with the vertical accent trim offset in white to make a dramatic modern statement. It retains the original carport and delivery dock, offers two office suites, and features easy onsite parking and highway accessibility. 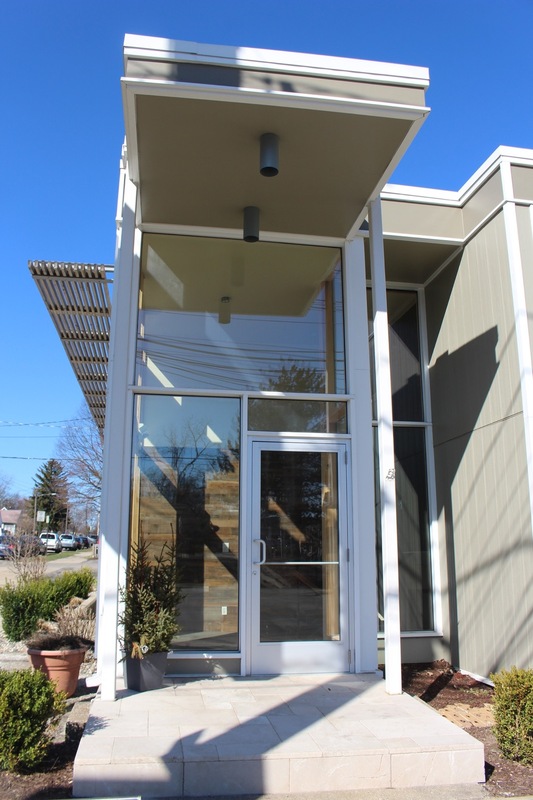 Recently Local First, an organization dedicated to the promotion, growth and support of local businesses centered in West Michigan, moved its offices to 345 Fuller NE, adding another fine steward to the history of a building that has had a lifetime of interesting owners and uses. Here’s to many more years of innovation, leadership, and community (and perhaps even more style) for 345 Fuller NE, an extraordinary example of cool mid-century modern design in Grand Rapids.